This page provides BSC Parties with information about how they can introduce a change to the BSC and the associated Code Subsidiary Documents. The starting point for this process if different from the starting point for non-BSC Parties which eventually uses the same end-stages for raising a Change. 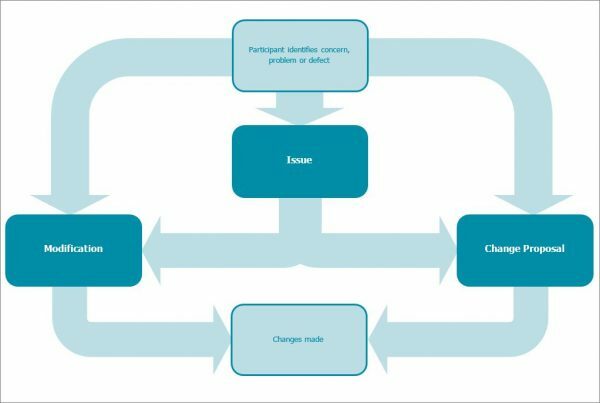 The BSC Change process is used to introduce changes to the BSC arrangements in response to any concerns, problems or defects that Parties and non-Parties (under BSC Panel Designation) may identify in the current arrangements. Changes can be made to the BSC (the Code), Code Subsidiary Documents (CSDs) and to BSC Systems. If you are a non-BSC Party you will need to use the designation process to raise a proposal to modify the BSC (a Modification Proposal). These are detailed proposals which are raised to amend CSDs and/or BSC Systems, but would not alter the BSC legal text itself. Once you are ready to draft or raise your change you will need to submit the relevant form. We are here to support and guide you through the BSC change process. If you would like to amend the BSC, please contact the BSC Change team by emailing (bsc.change@elexon.co.uk).